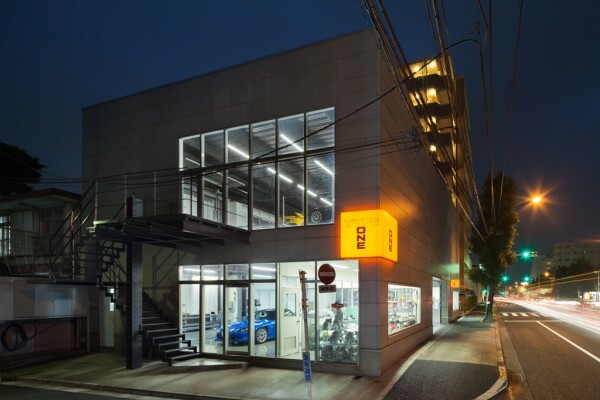 We designed the renovation of a body shop specializing in Honda vehicles that would function as a repair shop as well as a display floor for visitors. The design calls for maximizing the working area by thoroughly sorting out essential and non-essential elements with a focus on servicing functionality. As elements of the interior design plan, we adopted material and expressive items that are both essential and emblematic to a repair shop, such as gray two-post car lifts, aluminum fittings and tool wagons. Care was given to treat elements that were originally present the same way as new ones, including the aluminum canopy hanging from the top lights, push carts and the rough-feeling cemented excelsior board walls. The design highlights the vehicles on display in the repair shop by using desaturated colors and common materials to adjust the tone of the space where the old blends with the new. 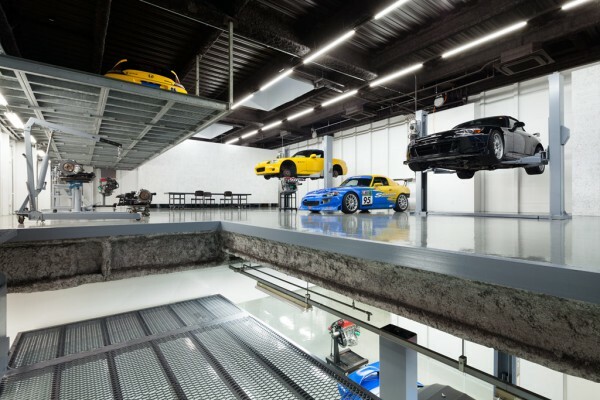 The picture of a shop with cars on lifts, exposed engines and tools is aimed at creating a functional yet slick-looking space that can serve as a promotional area.